I met a pharmacist at a networking lunch yesterday, and she is moving out of the corporate world and starting her own company. She is trying to gauge the possibility of starting an all cash consulting firm. What does a pharmacology consultant do I wondered? She explained that she has seen so many patients on 20-30 medications, and that they are always in a deep, dark hole that never ends well. As she explained, it is a slippery slope that has so many side effects, one medication leads to another that causes a side effect and leads to another. 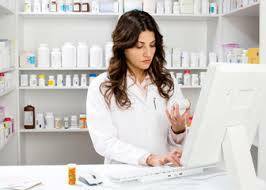 The job of the pharmacology consultant would be to analyze all of the medications and try to discover which ones are unnecessary or potentially interacting with other medications and causing side effects. The implications of this new field that she is pioneering are quite frightening. First, it shows that there is nobody out there currently doing what she is doing. This is literally a new field. Second, the fact that the need exists for such a service is scary. Starting your own business is tough, and in healthcare going against the grain and outside of the insurance world is even more difficult. When asked why she would abandon her well-payed corporate position at a big box pharmacy, she told a story about her first patient interaction. An old man came in coughing and was asking for advice. According to her, water is the best way to stop a cough and she could tell from the conversation that the man was dehydrated. She advised him to drink plenty of water and eat more fruit. When the patient left her boss let her have it, wrote her up for not recommending their store-brand cough syrup. She realized at that point that all of her hard work in pharmacy school would not allow her to help people as she had hoped. She was there to make money for the company. That’s why she is trying to start her own company, because she wants to help people.